DECATUR, NEBRASKA—Nebraska farmers’ ability to use one of their most effective weed control strategies is in jeopardy, thanks to a draft report issued by the Environmental Protection Agency (EPA). The EPA report proposes to dramatically reduce the acceptable levels of atrazine, an herbicide used in growing the majority of the corn and sorghum in Nebraska and the nation. Agricultural groups across the nation, including the Nebraska Corn Growers Association, have expressed outrage at the proposed changes, noting that EPA is basing its recommendations on studies that even its own scientific advisors found flawed. EPA is recommending the the level of concern (LOC) for aquatic life be set at 3.4 parts per billion (ppb) on a 60-day average, down from the 10 ppb the EPA currently recommends. However, a diverse universe of scientific evidence points to a safe aquatic life LOC at 25 ppb or greater. The proposed levels would cut average field application rates down to 8 ounces or one cup per acre. An acre is about the size of a football field. “At the proposed levels, atrazine would be rendered useless in controlling weeds in a large portion of the Corn Belt, effectively eliminating the product,” Mussack said. Thank you to everyone who has submitted an application for the new specialty plates! 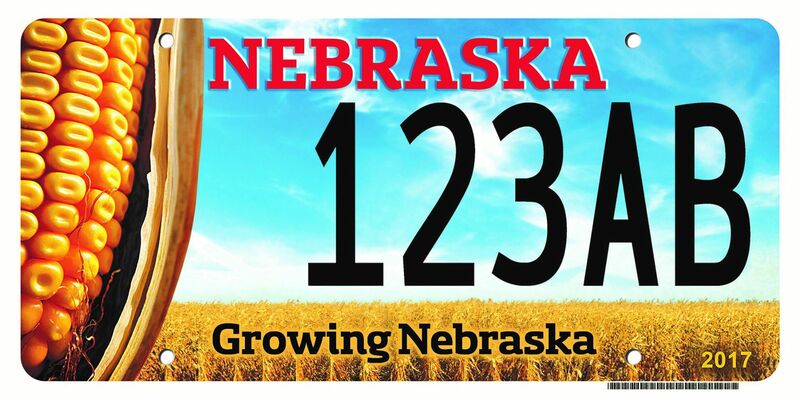 The Nebraska DMV has begun printing the plates and we have started seeing them on vehicles around the state. You can put your plates on passenger vehicles, pickups, farm trucks, semi-trailers, motorcycles, trailers and mobile homes. Still wanting a plate? Its not too late! Just mail your completed application form with payment of $70 per application to the Nebraska Department of Motor Vehicles Driver and Vehicle Records Division P.O. Box 94789 Lincoln, NE 68509-4789. To download an application form, click the link below. You can also contact NeCGA at (402) 438-6459 or email mwrich@necga.org.